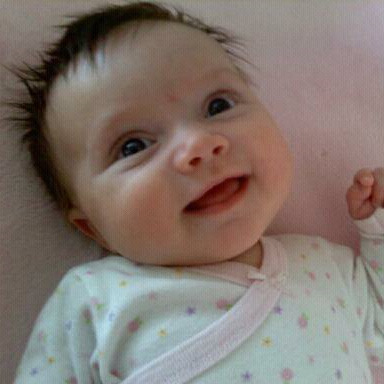 When my youngest, Cameron aka The Peanut, was a few months old, she developed eczema. Eczema is an itchy red rash that isn’t life threatening but is very uncomfortable. For our three month old, it was troublesome. She went from being a happy baby to an irritable, crying and unhappy baby overnight. Diet and laundry detergent changes did nothing. So after a few trips to the pediatrician, a corticosteroid cream was prescribed. However, I am a pharmacist and know the side effects associated with corticosteroid use on children including thinning of the skin and slowed growth. I wasn’t thrilled with the idea of applying steroid creams, and they really only “cure” the eczema for a short period of time before it reoccurs. Here, steps in Mommy aka Compounding Pharmacist. I began to research eczema and natural treatments and began designing what is now known as the Goody-Goody Grapefruit lotion bar. Lotion bars are free of preservatives which tend to irritate the already sensitive skin. What they do contain is shea butter and olive oil to moisturize and soothe the skin, candelilla wax to create a protective barrier and grapefruit peel essential oil to calm and sooth irritated skin. Since using this after her baths, she has been eczema free for the last five years. Ultimately, I started receiving requests from family and friends for lotion bars and then began creating more products such as lip balms and bug repellent. They were all so popular that my brother started calling me Kosmatology (my maiden name is Kosma) and joked I should start a skin care line. So, here we are two years later producing an organic skin care line that is safe for the whole family. Once you try our products, you will wonder why you ever used anything else.